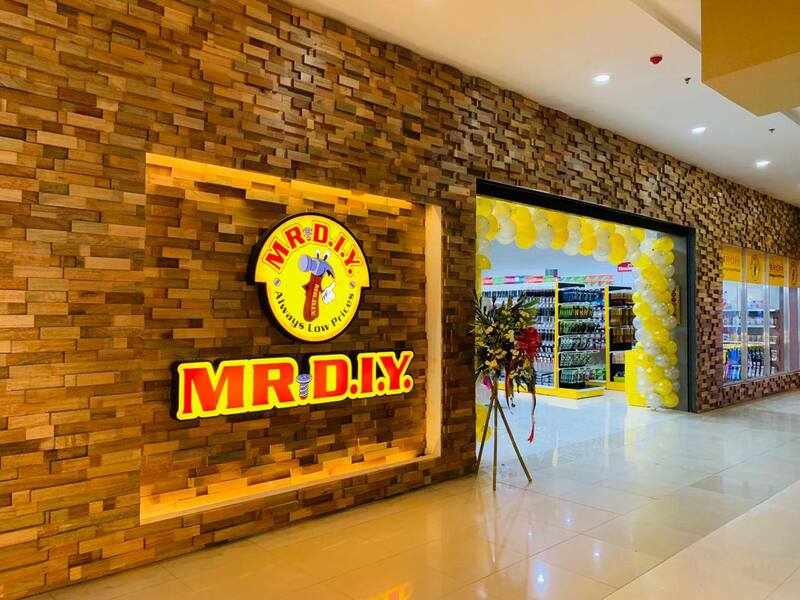 Home / News / store / MR. D.I.Y wins 2018 World Branding Awards. MR. D.I.Y wins 2018 World Branding Awards. Malaysian retailer MR. D.I.Y. received the “Brand of the Year” award in the National tier of the Retailer-Home Improvement Category at the 2018 World Branding Awards held at Kensington Palace, London, last October 31, 2018. The awards is organized by the World Branding Forum, a global non-profit organization dedicated toward advancing branding standards, and is considered the ultimate global brand recognition accolade a brand can be granted. This year, only one National tier winner of this prestigious award was chosen in each category per country. Other Malaysian category winners were Maybank for Banking and Spritzer for Water. Nominees were judged for brand valuation, consumer market research, and through public online voting. “The awards celebrate the achievements of some of the greatest brands around the globe. With an average of just six winners per country, it is truly a great achievement to be a winner of these awards,” said Richard Rowles, Chairman of the World Branding Forum. MR. D.I.Y. counts itself among the ranks of this edition’s global winners: Beijing Tong Ren Tang, BMW, Cartier, Club Med, JinkoSolar, Johnnie Walker, Lego, L'Oréal, Louis Vuitton, Nescafé, Rolex, Samsung, Schwarzkopf, and Yakult. Founded in Kuala Lumpur Malaysia in 2005, MR. D.I.Y. is positioned to become the largest home improvement retailer in Asia-Pacific. It currently serves more than 128 million customers yearly with over 650 directly managed stores throughout Malaysia, Brunei, Thailand, Indonesia, Singapore, and now the Philippines. Every MR. D.I.Y. branch has about 10,000 square feet of retail space consisting of nine categories from Hardware to Household, Electrical, Car Accessories, Stationery, Toys, Gifts, Sports, and Jewelry and Cosmetics, offering a wide selection of more than 20,000 types of products at some of the lowest prices in the market. “The company’s vision is to become the largest home improvement retailer in Asia-Pacific and it strives to always put customers first by operating an innovative business that is flexible when it comes to product variety and quality at value-for-money prices,” says MR. D.I.Y. Philippines COO Roselle B. Andaya. MR. D.I.Y. is located at Ayala Mall Circuit, Makati City; Fishermall, Quezon City; and Balagtas Town Center, Bulacan City. For more information on MR. D.I.Y., visit www.facebook.com/mrdiyPH. To know more about the World Branding Forum, visit awards.brandingforum.org.